The Chicago Dough Company makes gourmet Chicago-style pizza in several varieties. We offer thin crust, double crust, and a unique deep dish, plus traditional stuffed and Calabrese pizzas. Every pizza is handmade with unbleached and unbromated dough made fresh each morning. We use only choice ingredients including cheese made to our strict requirements and a tomato sauce specially marinated with 13 different seasoning to achieve maximum flavor. Our toppings also include our uniquely blended sausage and garden-fresh vegetables. We use very little salt, healthier canola oil, and no MSG is used in our pizza. So here’s to your health! Mike Rose and Mike Feliu met in the fifth grade at Matteson Elementary School and remained friends after graduating from Rich Central High School. While studying at the University of Arizona, the pair made a pact to one day start a business together. 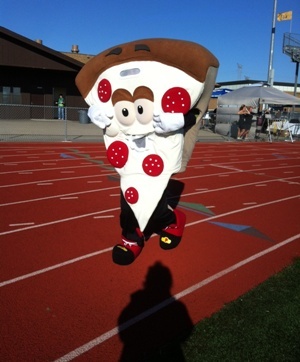 Mike Rose was approached by Pizza Inn, Inc., about potential locations for expanding their national chain. While Pizza Inn was not optimistic about the Richton Square Road and Sauk Trail site, Rose and Feliu knew it had potential. In 1976, the pair opened the Richton Park location of Pizza Inn. Within one year, it became one of the top 5 locations in the country and plans were being made to expand to Bourbonnais. Rose and Feliu were pleased with their success, but knew they could do even better. During a Colorado vacation, they laid out a plan to change from the canned, pre-made products of Pizza Inn to fresh-cut vegetables, a new dough recipe, a specially-blended sausage recipe, and their new signature sauce. Unhappy with the new recipe changes and overall poor performance in the Chicago area, Pizza Inn pulled out. This left Mike Rose and Mike Feliu with exactly what they wanted: a restaurant of their own. 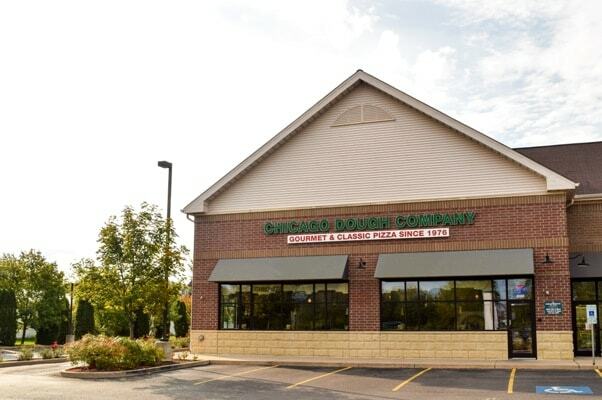 In 1978, the Richton Park and Bourbonnais locations officially became the Chicago Dough Company. 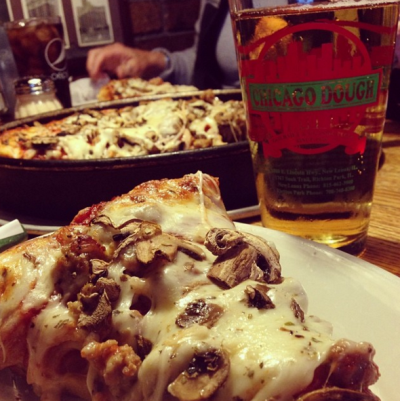 More than 30 years later, the Chicago Dough Company remains dedicated to making fresh, traditional Chicago-style pizza. Over the years, the company has expanded to different locations throughout the Chicagoland area. The most recent expansion was to New Lenox, and November 2017 marked its 10th anniversary. Every restaurant is employee owned and operated. Each owner has worked from the bottom up and has earned the opportunity to buy into the company, open their own location, or take over an existing restaurant as owners retire. Chicago Dough Company also believes that being an active part of the community is the best way to stay connected with customers. Some of their activities include sponsoring local youth sports teams, school fundraisers, and tours of restaurant operations to inspire young entrepreneurs. The Chicago Dough Company is an active supporter of our community. Below are some of the organizations we have supported. 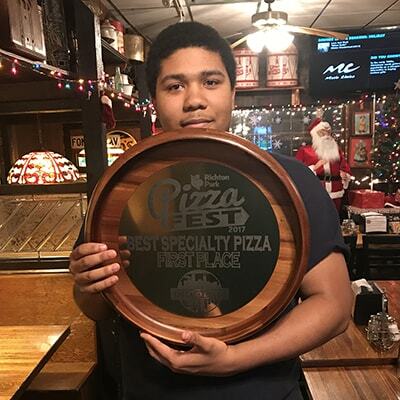 Village of Richton Park Pizza Challenge 2015 - "People's Choice Award"